We are now pet friendly. Come to our caravan park with your dog. We both love dogs and are happy to have you and them stay with us. 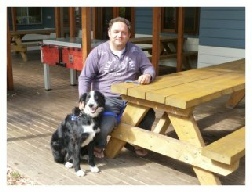 There is lots to do in the Otways with your dog. With the comfort and well being of all our guests and wildlife in mind, Bimbi Park has a set of rules for guests who wish to bring their dog. – The dog owner must contact Bimbi Park in advance of arrival to have their dog accepted. Upon arrival it is the Bimbi Park staff’s discretion as to accept the dog in the park. If a booking is not made it is up to the discretion of Bimbi Park staff as to accept the dog on arrival. – The owner must control their dogs at all times as there is a lot of native wildlife at Bimbipark. Heavy penalties apply for the injury or death of native wildlife. Any injury or death to wildlife is the full responsibility of the dog owner. – The dog must be supervised at all times and never left unattended including inside your tent or van. – The dog must be leashed at all times whilst not in your van or tent. A leash must be no more than two meters in length. No dog ‘runs’ to be set up. 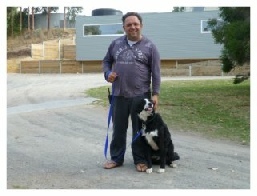 – The dog owner must agree that Bimbi Park staff reserve the right to evict any guest without refund or prior warning, whose dog is deemed noisy, disruptive, aggressive or the subject of complaints from other guests. 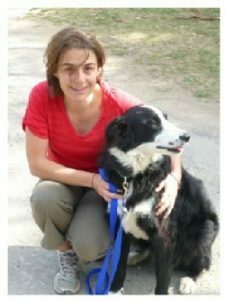 It is the dog owner’s responsibility and the dog owner’s alone to control and manage their dog. – Dog owners are personally responsible, and will be held to be so, for any and all personal injuries and/or property damage or losses in relation to any actions by or because of their dog. – It is the responsibility of the dog owner to keep their dog away from snakes and safe from injury. Bimbi Park will not be held responsible for any costs relating to your dogs injury or death. 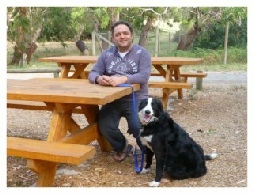 – For health and safety reasons dogs are not allowed inside the camp kitchen, lounge, dinning room, amenities block, playground, reception, shop or any cabins, onsite vans or bunk rooms owned by Bimbi Park. – Bimbi Park is private property; dogs on a leash can be walked around our grounds. Dogs are not allowed in the Great Otway National Park. The Station Beach and the end of the Lighthouse walk are in the Great Otway National Park. Please refer to the “Pet friendly guide” put out by the information centre. It’s available on our site or from our office. – Dog owners are 100% responsible for picking up their dog’s waste in a sealed plastic bag and disposed of in rubbish bins. – For health and safety reasons dogs must not be washed or cleaned anywhere within the park. Additionally, any dog related accessories such dog blankets, etc should not be washed or cleaned within the park.